The Reserve Bank’s criteria for relaxing the existing LVRs have been sufficiently met to justify easing them further, according to ANZ economists. ANZ has released its latest Property Focus report and it finds that the environment is right for the Reserve Bank to further ease the LVRs in its November Financial Stability Report (FSR). The bank’s chief economist, Sharon Zollner, says that’s because high-LVR lending remains low as a share of new loan commitments and lending standards are prudent. “Credit growth remains stable and has been tracking at a consistent rate of 0.5% month-on-month for the past year, with no signs of a pick-up. Further, ANZ believes that, on balance, the risks around the housing market outlook appear skewed to the downside. 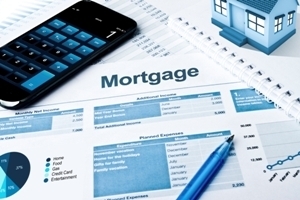 While falls in mortgage rates could lend further support to the market, policy changes could see a significant departure of investors from the market. Zollner says their central view is that the market will see some volatility in coming months, but that an overarching theme of softness will prevail – with house price inflation expected to be modest. There is low risk of housing market resurgence and ANZ believe this environment means the Reserve Bank’s criteria for easing the LVRs have been sufficiently met. “Currently, housing market pressures are contained and while resurgence would certainly not be desirable, the Auckland market could perhaps benefit from a little more support,” Zollner says. “Markets outside Auckland are very tight, but it does not appear that there is a large speculative element at play that could lead to a boom-bust cycle. But house prices and household debt do remain high relative to incomes and that warrants continued caution - which means the path of gradual easing is the way to go. Zollner says they expect the Reserve Bank to ease the restrictions only a little, such that they are still at levels consistent with the restrictions exerting a continued dampening force on the market. “The Reserve Bank will want to keep the restrictions ‘tight’ until they are satisfied that the risk of resurgence associated with further easing would be small. Investor demand appears particularly soft which means they expect that any change would involve a marginal loosening in investor restrictions, she adds. The Reserve Bank last relaxed the LVRs slightly – for both investors and owner occupiers – at the start of this year.